how big was this quilt? it is so cool. i love it. 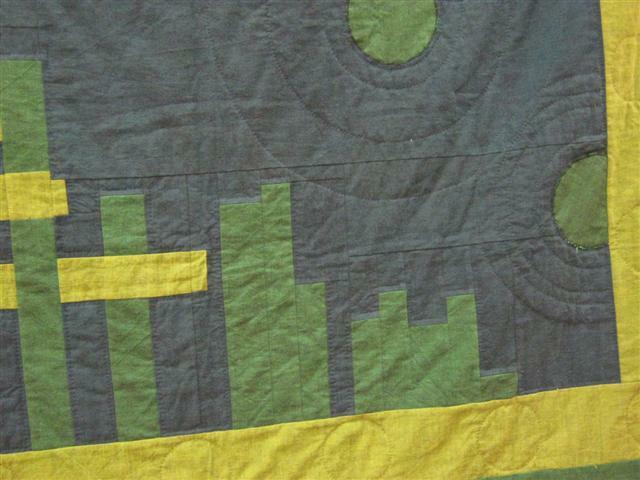 adding quilting here and there as you get the whim sounds fun. 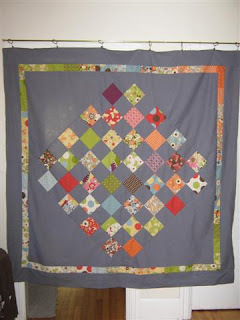 Love this quilt but it does need a little more quilting. 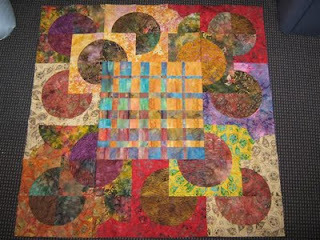 No hurry if you are happy with it as is though LOL. 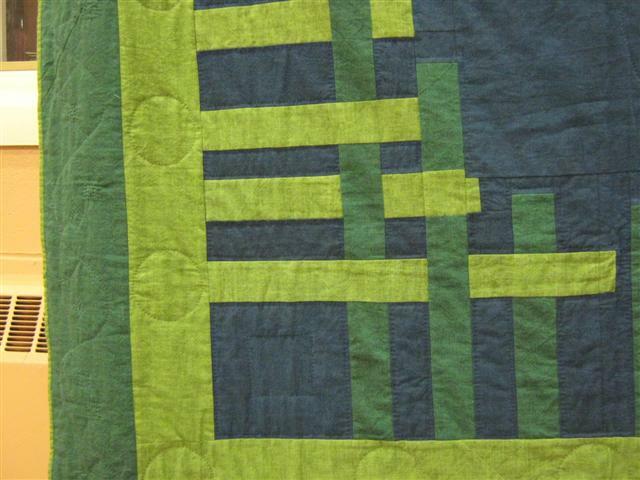 This is one of my favorite quilts of yours. 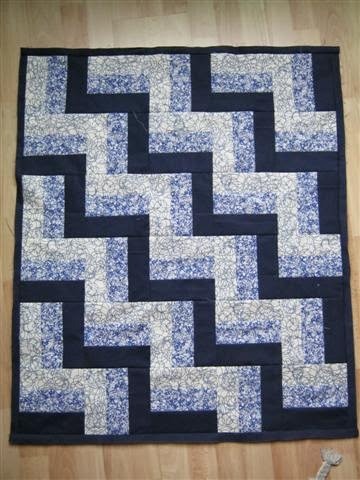 Too bad they didn't use the sleeve, but it still looks just wonderful! 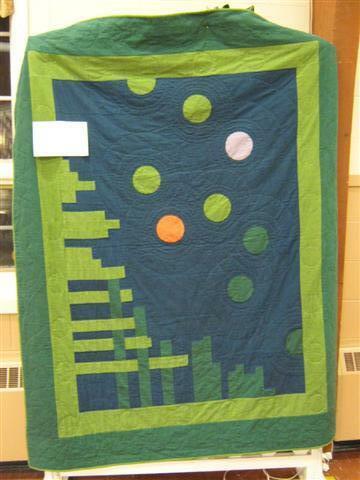 and many people are very selective of their quilt placement. Gorgeous quilting! I think your two pops of colors really make the quilt. 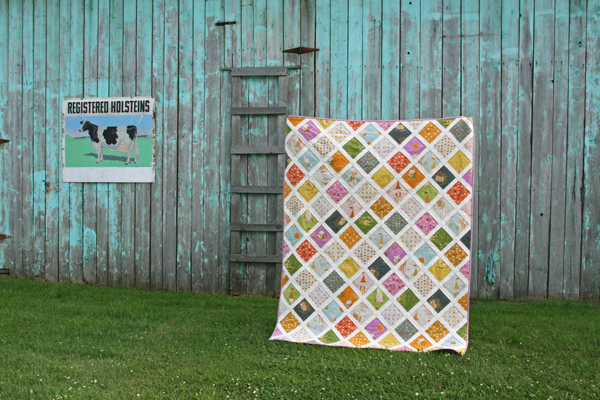 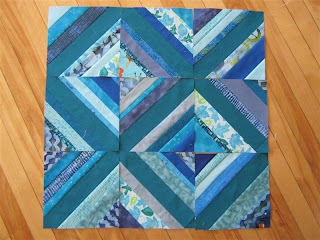 That's so cool that with hand quilting you can go back and add more quilting at a later date. 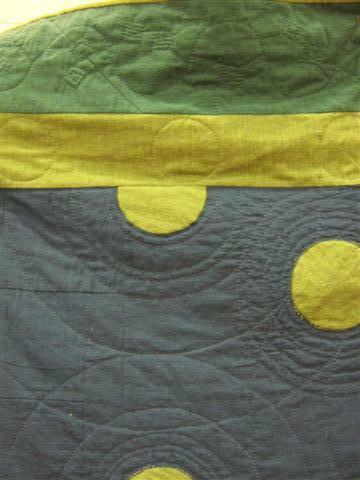 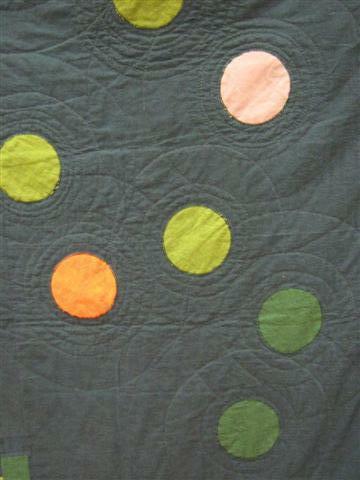 your quilting looks great - i really like the concentric circles! 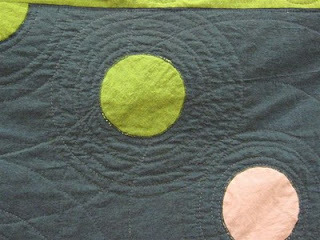 oh, very cool :D I love the circles in the light green border.